I have another cute Piece of Cake card to share with you today. 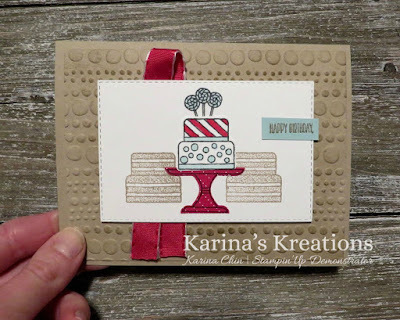 I was looking for a masculine card using the All My Love Designer Series Paper. This fun stamp set comes with a coordinating punch and you can buy the two items together and save 10%. The bundle is $41.25. Add $20 in more product and get a FREE Sale-a-bration item. 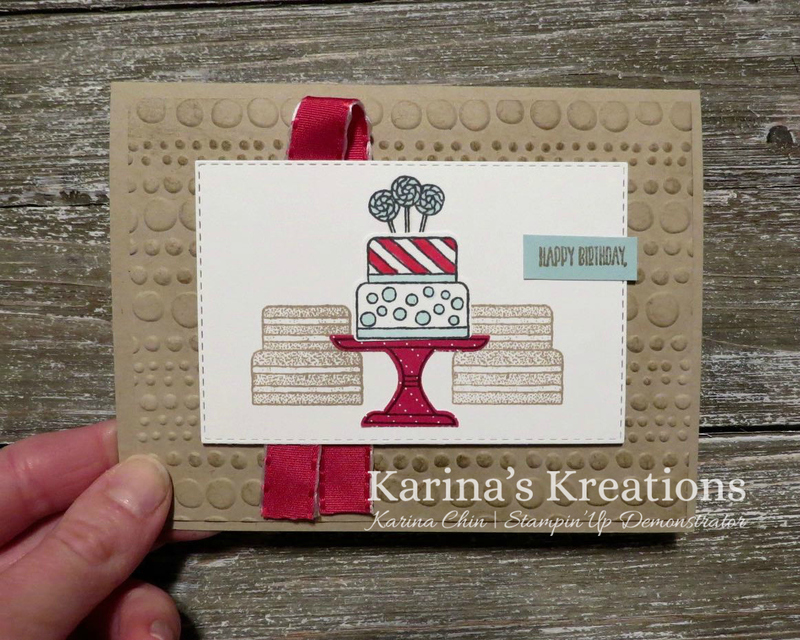 My card uses the new Dot to Dot Textured Impressions Embossing Folder. I love the dimension it gives to my card. 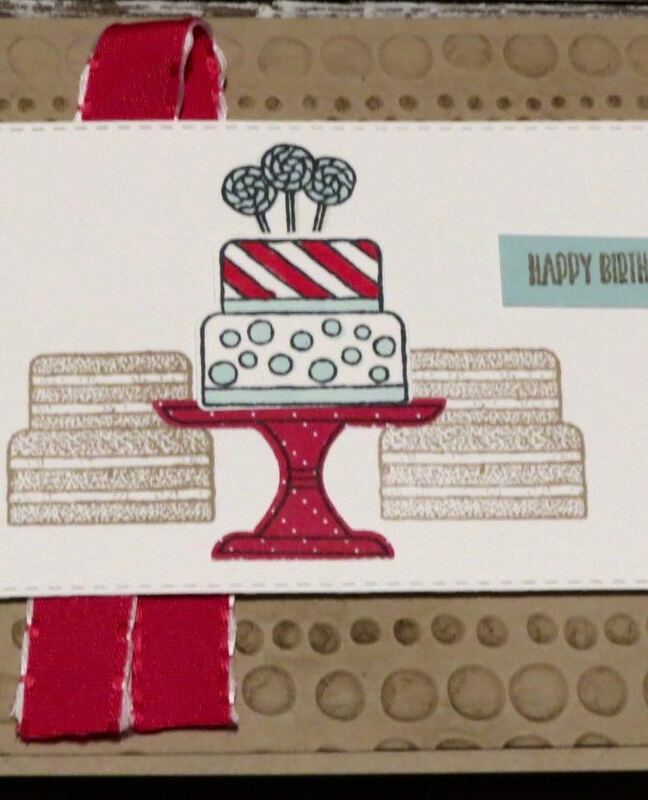 The cake was colored with Stampin' Blends.